Parrot AR.Drone is a discontinued remote controlled flying quadcopter helicopter built by the French company Parrot. 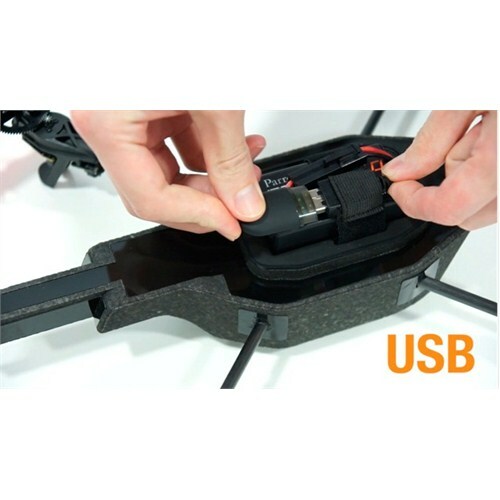 The drone is designed to be controlled by mobile or tablet operating systems such as the supported iOS or Android within their respective apps or the unofficial software available for Windows Phone, Samsung BADA and Symbian devices. The android software gives you a simple controller for flying your copter via your android devices accelerometer and touch screen. Your device will be communicating with your arduino radio via a USB connection. I use smartphone directly connect to AR.Drone (a Wi-Fi quadricopter) use adhoc mode. The AR.Drone can sent me images captured form the build-in camera.